That new Tomb Raider game from Crystal Dynamics? Well it's called 'Tomb Raider' and yes there's a boat, a beach and a babe - a stranded Lara Croft. We get a "young and inexperienced" Lara whose only goal is to survive. 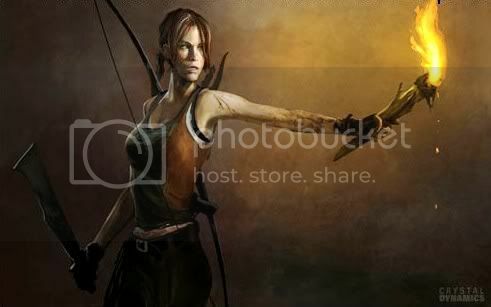 Crystal say "forget everything" we know of Tomb Raider, this is her "origins story". Square Enix have dropped a press release bomb that confirms our suspicions of poor Lara Croft getting ship wrecked on some island, all alone (sort of) and having to fend for herself. 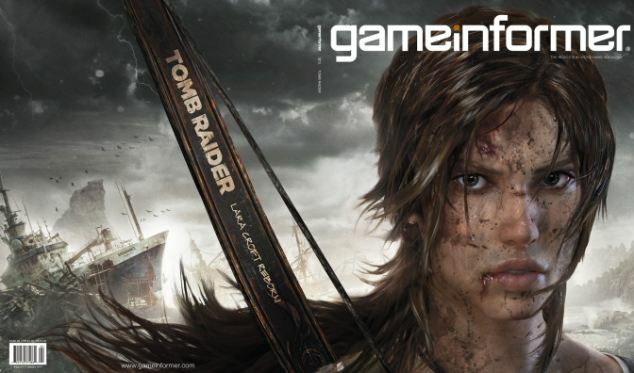 "Forget everything you knew about Tomb Raider," said Darrell Gallagher, big boss of Crystal Dynamics. "This is an origins story that creates Lara Croft and takes her on a character defining journey like no other." The upcoming issue of Game Informer will have 10 pages exposing the new Crystal Dynamic's videogame, which is available now for subscribers or in newstands December 11th. - It’s not only a reboot of the franchise but a reboot of the entire brand. As a result there will be no “real” Lara model this time. - There are brutal deaths in the game this time. One is described as a deranged man stabbing Lara in the chest and then closing her eyes after she’s dead. Another includes a boulder falling on her leg to trap her before another falls and crushes her head. - “It was important in the game to not only deliver the character arc of Lara Croft emotionally, but to deliver it in gameplay as well so the player gets to grow into a hardened survivor,” says experienced director Noah Hughes. As the game unfolds, Lara will scavenge new tools and gear that augment her abilities. Lara’s athletic prowess will also evolve. Some areas begin inaccessible due to physical limitations or scarce supplies. With the right skills and gear, however, the island is Lara’s for the taking. - There are base camps in the game. Here you can combine items to create something new and access a skill system to upgrade Lara’s abilities. You’ll also be able to use base camps to fast travel to different locations to minimize backtracking. That’s about it. It seems like CD is still be fairly secretive about the gameplay details. There are some nice in-game screenshots. One features Lara hanging upside down in what looks to be a cocoon. Also several screenshots showing her bloodied and with bandages on. sure, nice to reboot this franchise since it's gotten all Final Fantasy on us, but what about poor Gex? Thanks for nothing, Crystal Dynamics!